First things first – most of the time, it was almost impossible to believe such visual achievements are possible. Rich, layered, sprinkled with tiny, tiny details that are usually given fragments of a second to impress the eye, but which probably took weeks to perfect, each. Of course, that might not sound such a surprise, given the quality of earlier animation flicks such as The Incredibles ot Happy Feet, but actually it IS that impressive. Wall-E has animation that looks so real and convincing that from the first minute you naturally let go and go along with anything, at a very high speed (the main character is a speedy robot, but it actually is one of the slowest creatures in the movie, apart from the fat futuristic humans with washed away skeletons). So far so good, but that is risky in itself, as the creators’ quick success in grabbing every fibre of your attention means they have to “simply” keep it up for another hour and a half or so. Which they do. 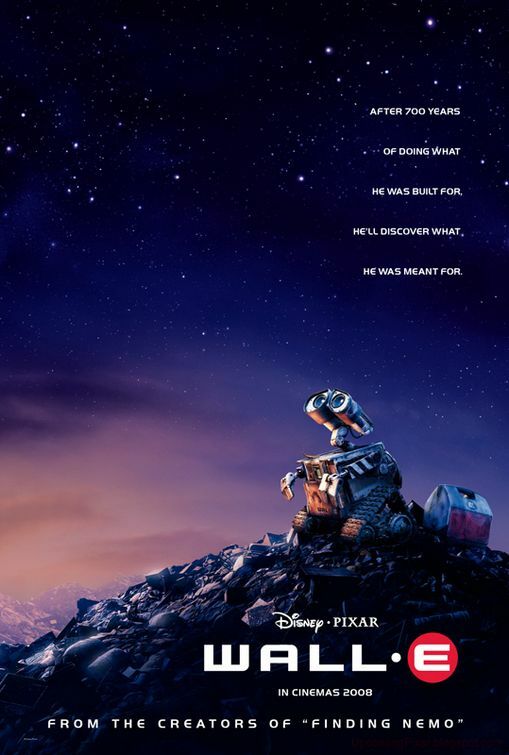 Even more impressive is that Wall-E actually manages to be subtle in a very nice manner when it comes to suggesting plot development but then flipping it all over. Just see how you feel about Wall-E’s love, Eve, as she arrives into the film, and then later on the Axiom. Wall-E is a revelation, a robot with a heart that not only kids would fall in love with. My personal favourite though was Eve, so truly futuristic, efficient and…believable. Almost made me wanna be a robot. If I have to chew out a weakness it would be the unnatural transformation of the humans’ motivation for jumping out of their vegetative state of being, and especially that of the Captain. But hey, it’s a kid’s movie after all, and I would’ve loved to be able to see it with my kids. Will definitely be saving it for a screening for them – hopefully not 700 years from now!